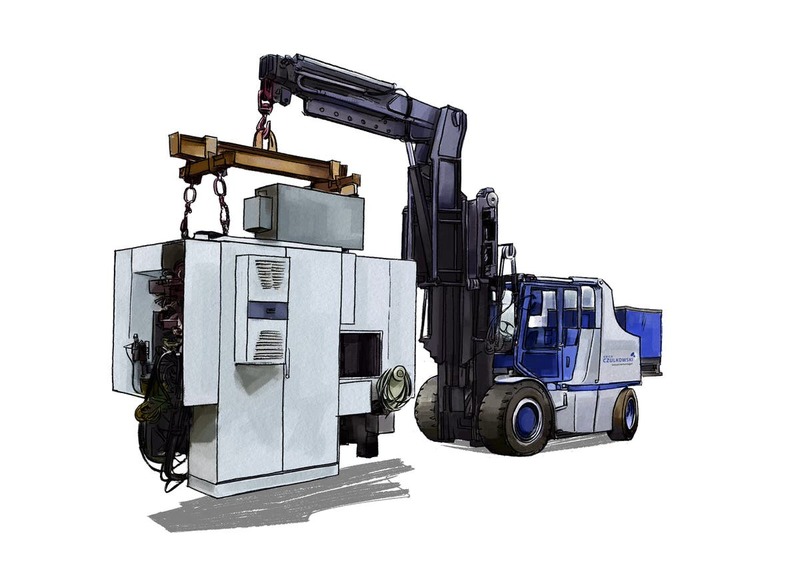 In addition to motivated and well trained associates, industrial assembly naturally also requires the right “tooling”. 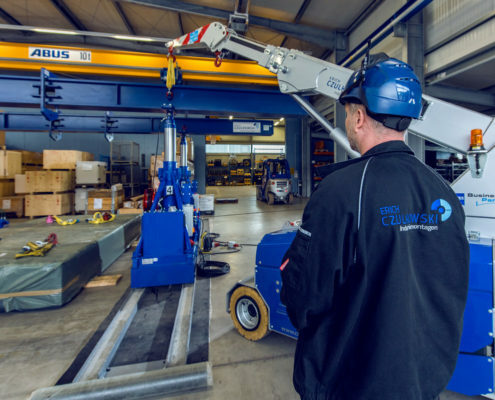 Therefore we are constantly extending our vehicle fleet and equipment range by adding new, innovative vehicles and machinery, which enable us to implement your projects even more efficiently, quickly and safely. 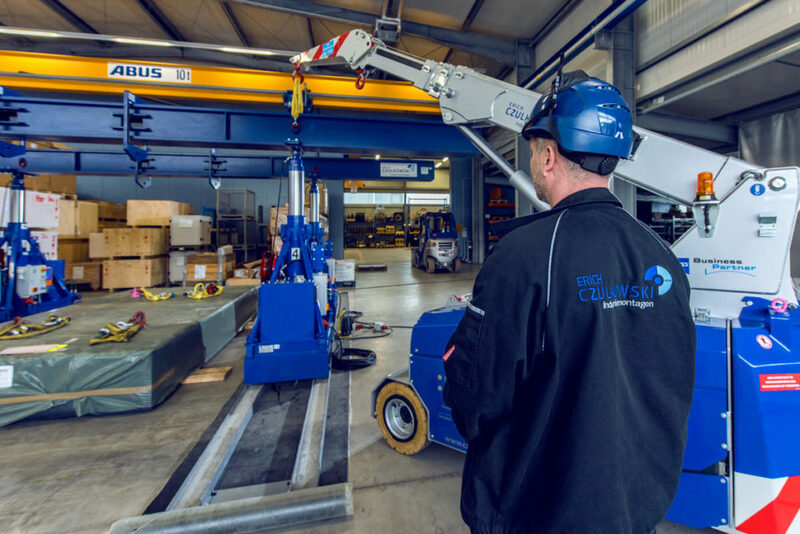 Our lift truck fleet includes traditional fork lifts and lifting trucks for a great variety of tasks and areas of application. 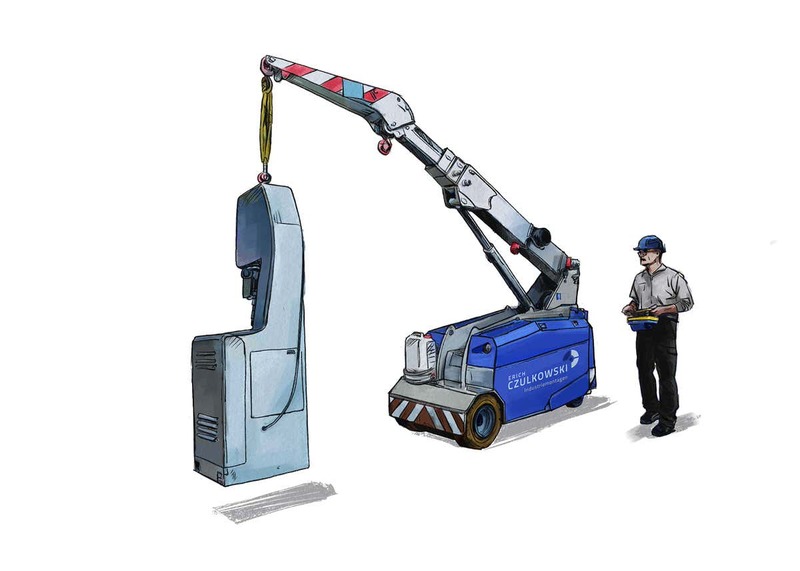 Our electric forklifts have up to 22 tonnes load capacity and telescopic booms of up to 11 metres (with 18.7 tonnes lifting capacity). 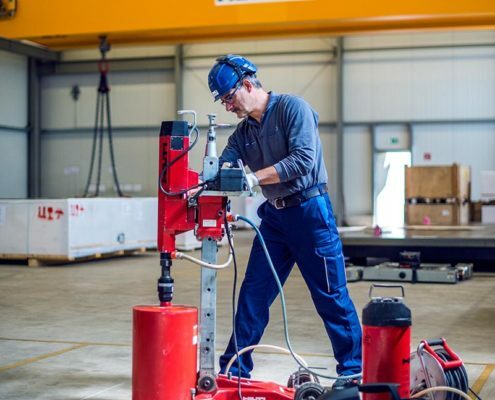 All fork lift trucks are equipped with non-marking tyres which do not leave any traces and can also be used in sensitive areas, for example in the chemical and food industries. 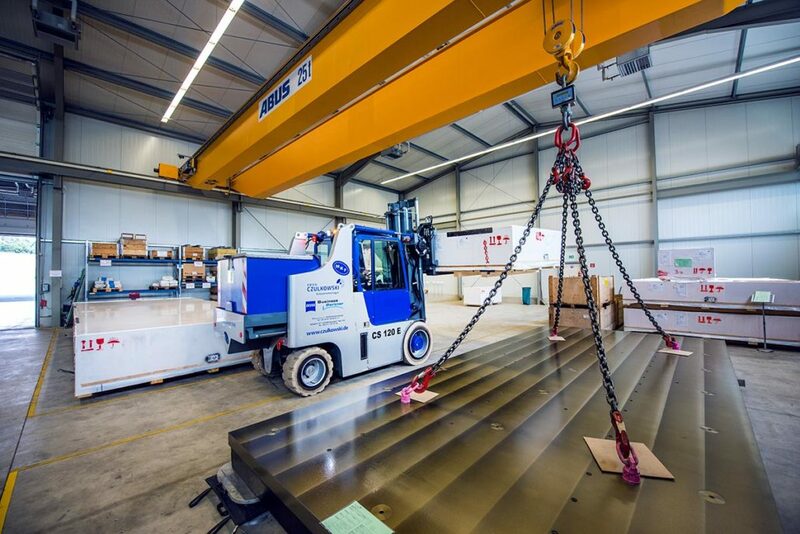 No task is too heavy for our crane trucks with up to 35 tonnes load capacity. 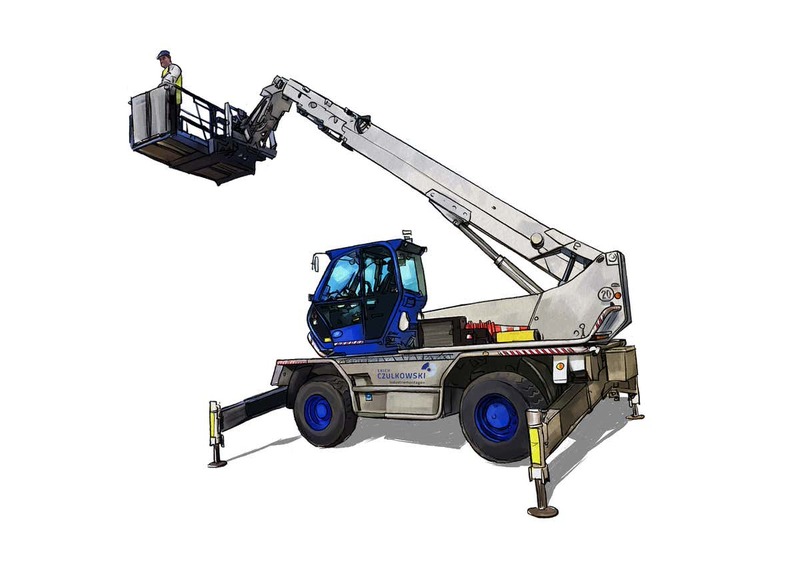 Thanks to their reach of up to 13.50 metres and up to 12 metres lifting height, we can even get to places that are otherwise difficult to access. 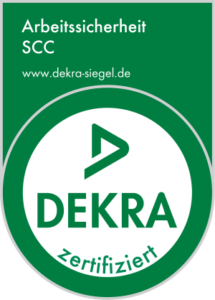 Of course, all vehicles are equipped with emission-free electric motors and run on non-marking tyres, so that they can also be used in areas with stringent hygienic requirements. 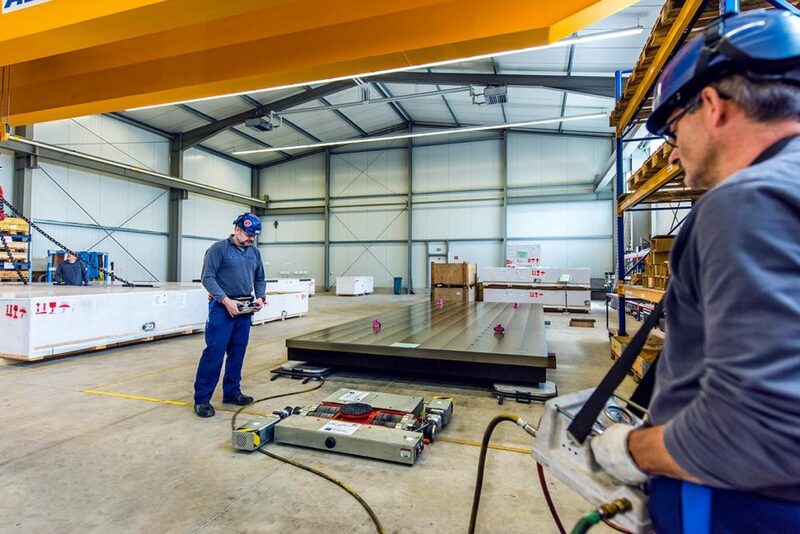 Our mobile lifting frames can be assembled quickly and safely at your location and come with up to 300 tonnes lifting capacity. 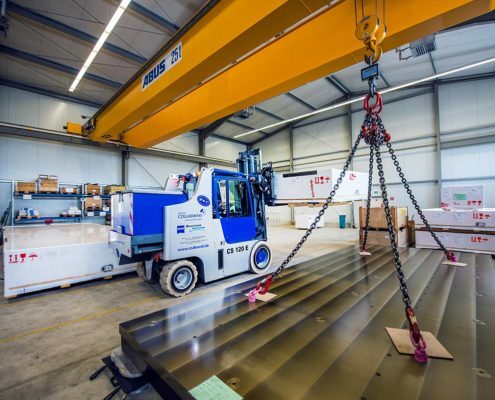 Thanks to their lifting height of 8,380 mm, the lifting frames can also be used for loading machines and industrial equipment onto our specialized transport vehicles. 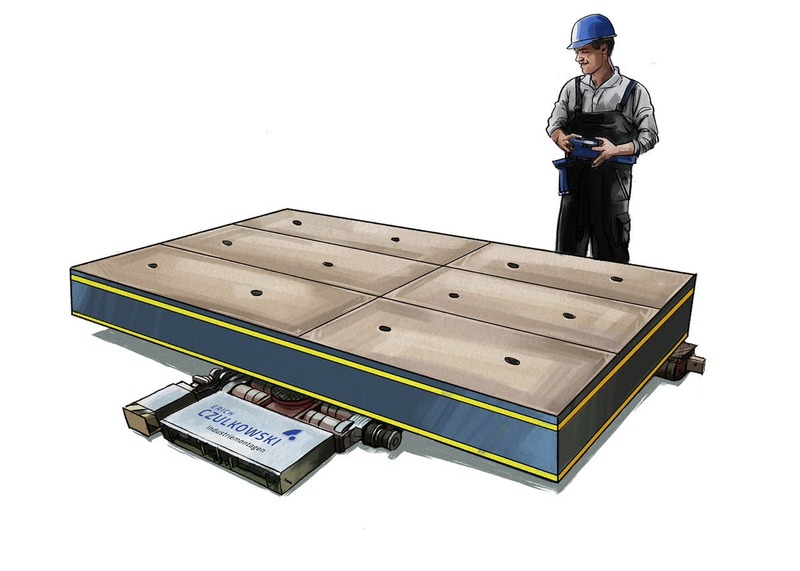 Our transport system based on air cushion slide modules enables positioning of your machinery and equipment with millimetre accuracy up to a maximum weight of 72 tonnes. 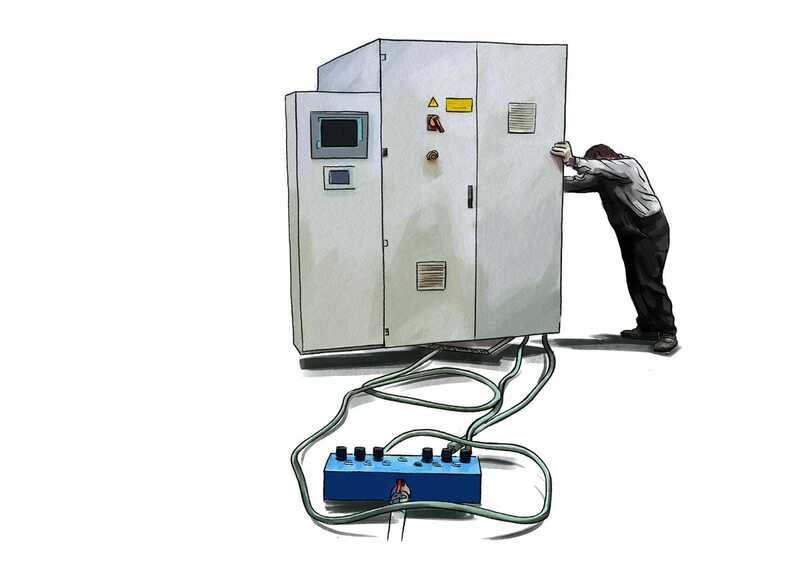 The pieces of equipment “float” on a thin film of air; they can thus be moved in every direction and can even handle small bumps. The important point: the floor must be airtight and free of deep joints, cracks or fissures, but it can be made passable with cover mats. 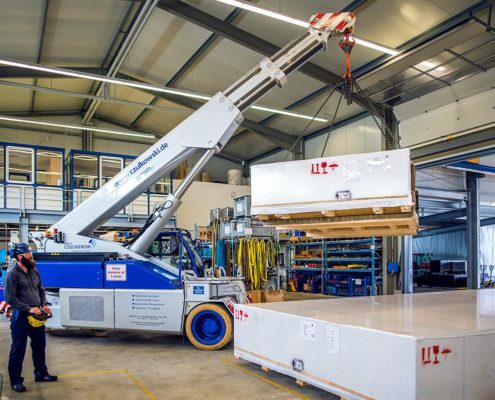 This transport system operated by remote control moves loads ranging from 20 to 60 tonnes. 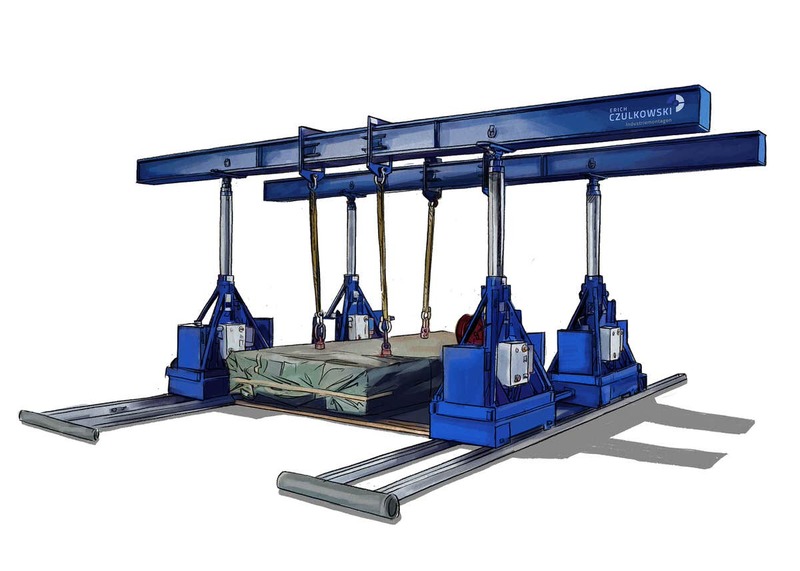 It enables accurate transport in extremely narrow spaces, since it can be moved freely in every direction and even rotated on the spot. 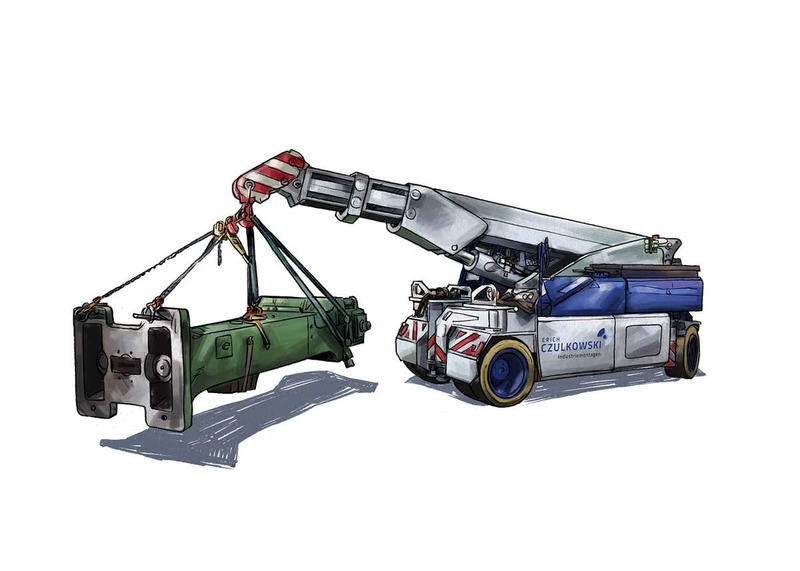 This special telescopic lifting truck can be used either as a light mobile crane or as a lifting platform. With 6 tonnes load capacity and 24 metres working height, the Merlo Roto is continuously rotatable and so has very modest space requirements. 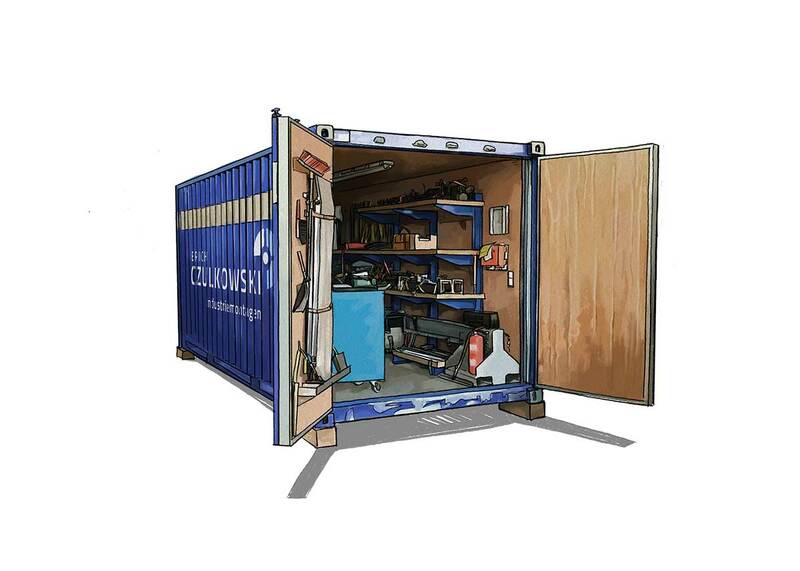 The project container is our mobile workshop for assembly jobs around the world. 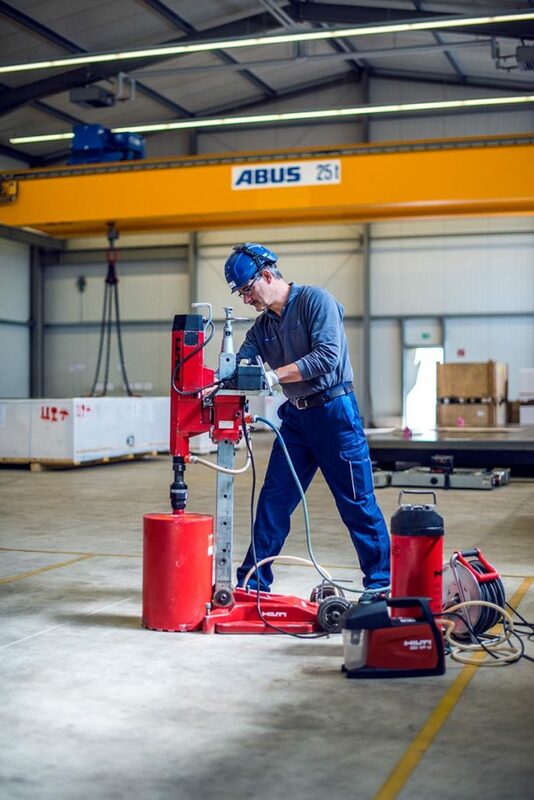 Its basic equipment includes all important standard tools, measuring instruments and lifting equipment, and it can be equipped with additional specialized machinery and tooling, depending on the specific project and job site. 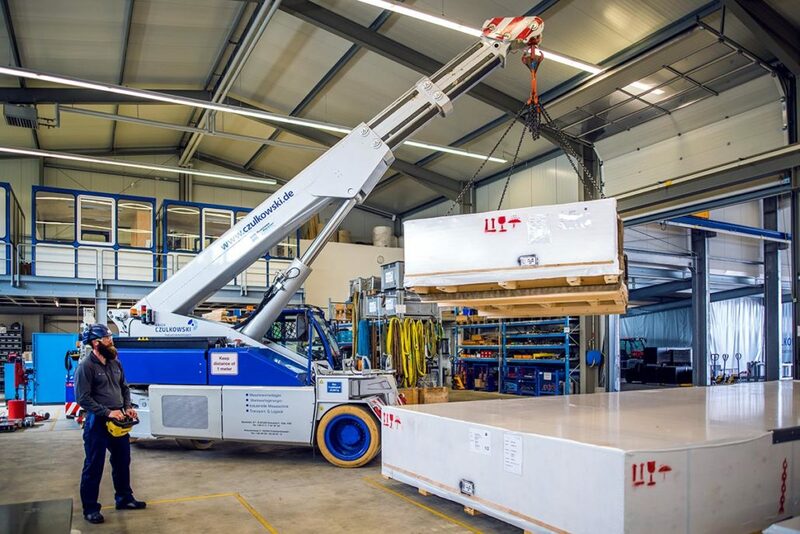 The project container is easy to transport and immediately ready for use on site. 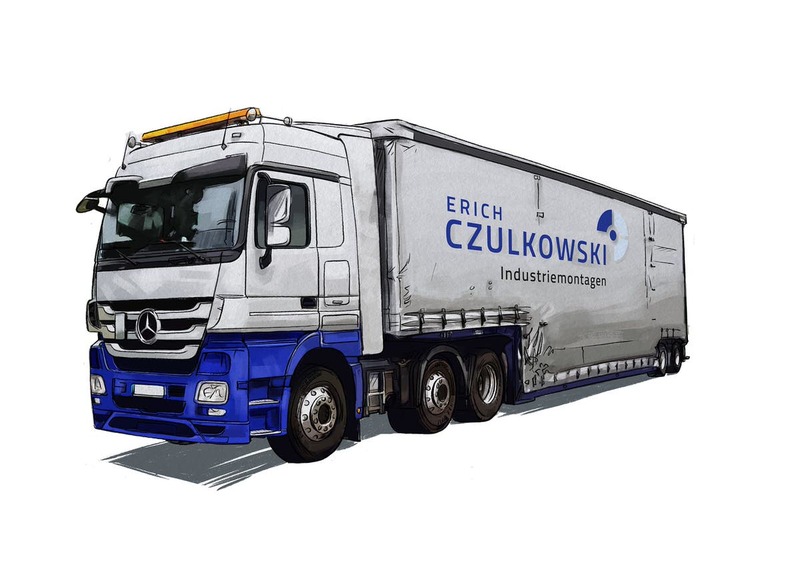 Our vehicle fleet includes trucks for a great variety of specialized tasks. 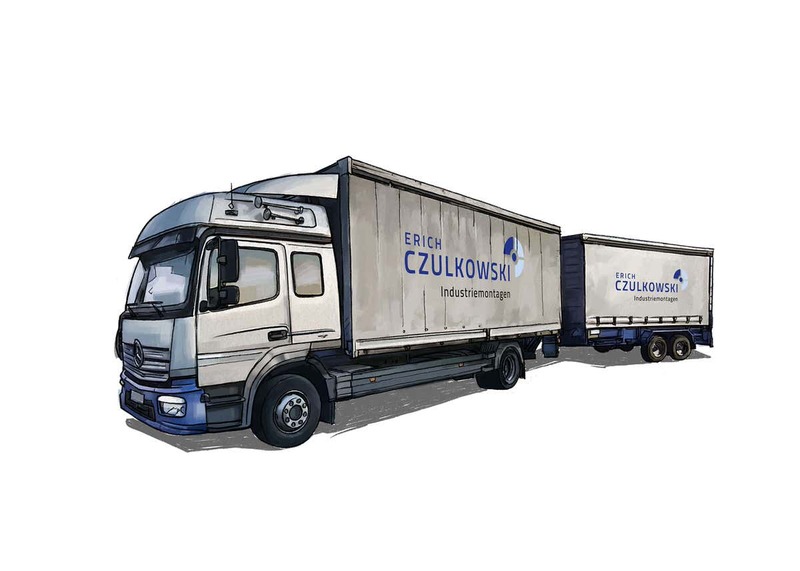 Depending on the project, the tractor trucks pull various semitrailers, including low-bed trailers and semi-low-loaders as well as standard trailers. 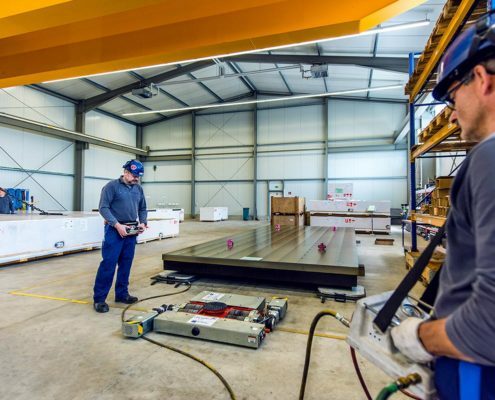 All trailers are equipped with access ramps and sliding tarpaulins, which, thanks to their special Edscha superstructure, can be opened all round, including the roof. 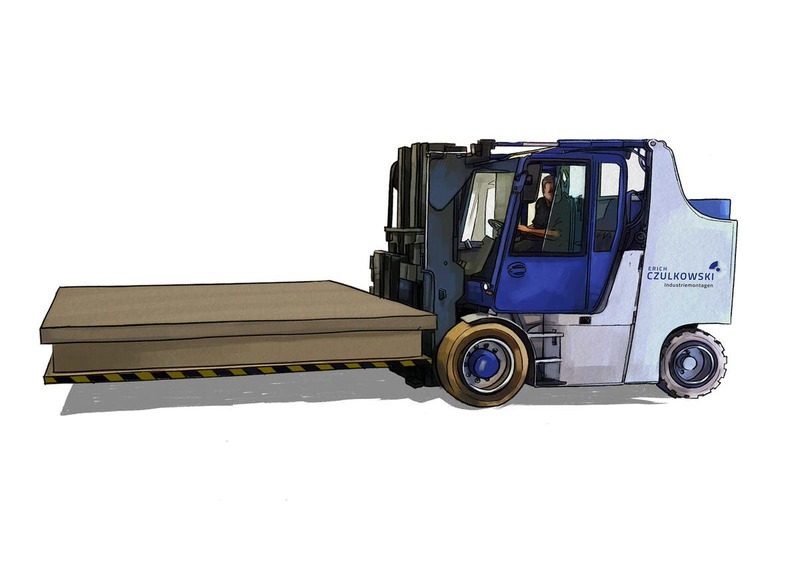 The maximum rear portal width of our trailers is 4.30 m, their maximum loading height is 3.65 m.